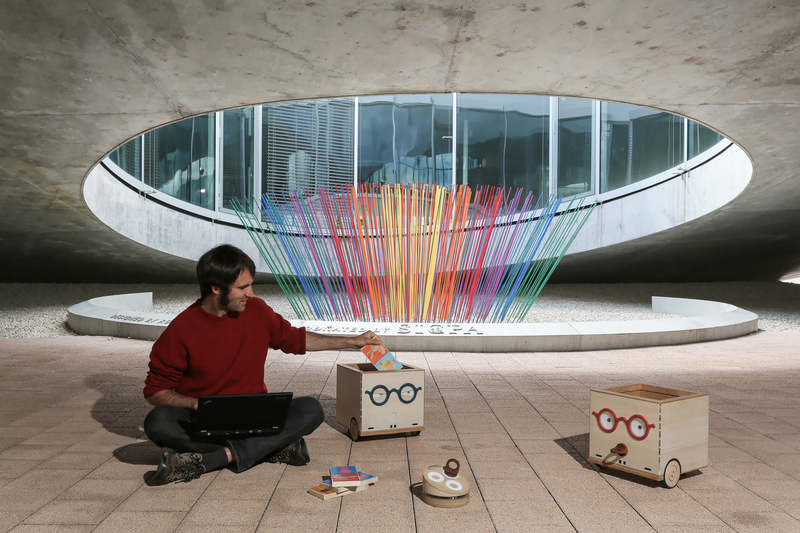 Wed, 01/04/2015 - 10:20 Elise D.
Séverin Lemaignan is a post-doc researcher at CHILI Lab', the Learning Technology laboratory of EPFL, where he supervises a small robotics team. Séverin has been doing robotics for a while, both in academia (he did his PhD at LAAS-CNRS/Toulouse University on Artificial Intelligence for Human-Robot Interaction) and ‘in the field’, conducting many workshops and events involving robots and children/students. We asked him 6 questions about the CoWriter project developed on NAO in the Computer-Human Interaction in Learning and Instruction (CHILI) Lab of the Ecole Polytechnique Federale de Lausanne (EPFL). What are CHILI lab main activities? The CHILI Lab' researches a range of computer-related techniques and approaches to improve tomorrow's education: we have a long tradition of creating tangible and/or augmented reality human-computer interaction (with cool simulations that you can physically build and manipulate). More recently, we have focused quite a lot on MOOCs (Massive Online Open Course), becoming the biggest European "MOOC-maker" and simultaneously actively researching how MOOCs impact learning by mixing several techniques like eye-tracking and data-mining. 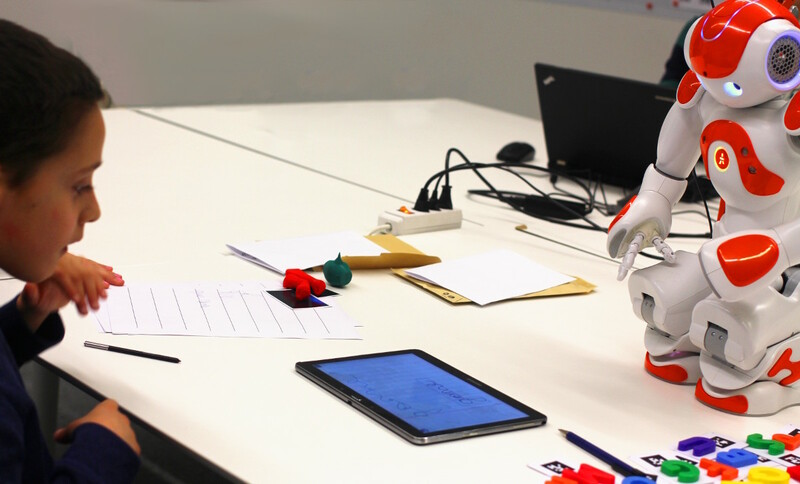 Robotics is one of the latest fields that we are starting to explore, with projects like Cellulo (we are designing a novel kind of small robots aimed at fully blending into the school environment to support learning in new and original ways) or CoWriter. Could you explain us what is CoWriter about? CoWriter is a joint project between EPFL in Switzerland and IST Lisbon in Portugal. The key idea of CoWriter is to investigate what robots can bring to education that regular computer-based systems cannot. We came up with the idea of supporting hand-writing acquisition. Hand-writing is a challenging skill, fundamentally physical: maybe a robot, that is physical as well, would be able to help children who face difficulties. The second key idea was to rely on the 'learning by teaching' scheme: these children who are bad at writing also face motivation and self-esteem issues. So we decided to turn them into teachers. The robots' teachers! By teaching the robots, not only do they practice hand-writing and have to reflect on how to teach (which help them to sort out their own difficulties), but they also gain self-esteem: they are indeed able to teach someone! Can you tell us a bit more about the Protégé effect? And how you get the idea to use it? The Protégé effect is a well-known psychological situation: the children, when they start taking the role of a teacher, unconsciously *commit* to the success of their student (in our case, the robot), and the robot becomes their 'protégé'. 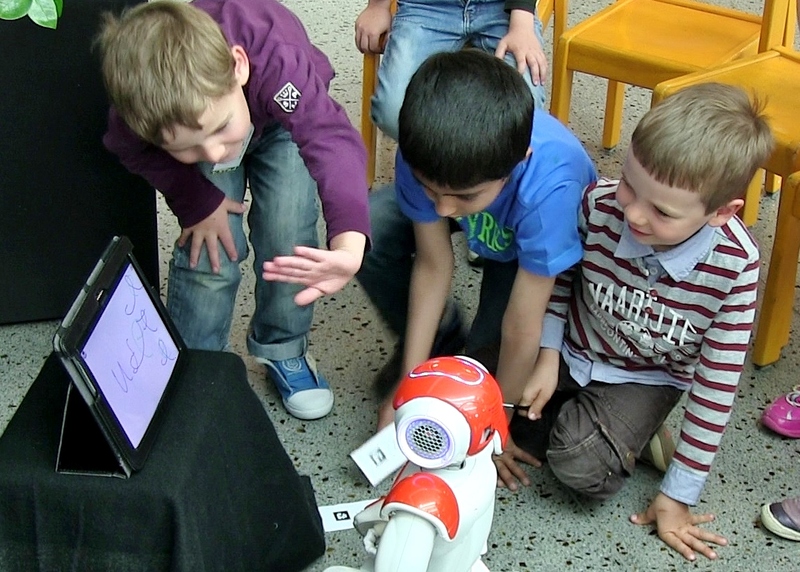 This is a very effective way to engage the child in the interaction: he/she wants to make sure the robot is improving, and is ready to make every effort to help. When someone judges the hand-writing skills of the robot, the teacher-child is the one who actually feels responsible. What were the different stages you went through to develop CoWriter? We first explored for a few months how to engage children into hand-writing related activities, and it appeared quickly that NAO would not be suitable for actual hand-writing (most notably due to the lack of force feedback on the robot's arm and to the small working space allowed by the size of the robot). 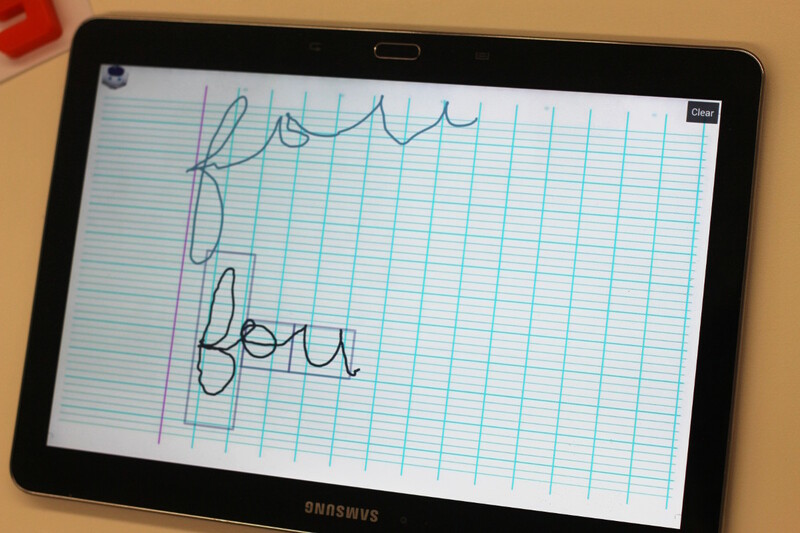 However, Deanna Hood, a master student who joined us for 6 months in Feb 2014 came up with a key insight: what if the robot *simulates* hand-writing on a tactile tablet? It would not only allow us to precisely control the writing style generated by the robot, but also simplify the feedback acquisition from the child (children could directly correct the robot on the tablet with a stylus). What results did you already get and what were the kids’ first reactions? Also, what is the next step with CoWriter? How would you like to improve the project? The first experiments mainly enabled us to say "the system works well, the children have no trouble interacting with it, and they have the feeling to actually teach something to the robot". The child who interacted for 4 weeks with the robot remained extremely engaged over the whole period, and actually succeeded in significantly improving the robot's hand-writing. It is, however, too early to tell if our approach is an effective path toward improving hand-writing skills: measuring such improvements in an objective manner is not trivial, and to distinguish between what are the normal, natural progress of the child, and what is due to the robot-based intervention is even harder. We plan a new set of experiments which will take place before summer 2015 with the aim to evaluate more accurately learning gains. We will see how things are turning out! In the meantime, several open questions remain, the two main ones being, first, how to turn this research project into a tool in the hands of teachers (we are looking into designing interfaces and tools that would let teachers monitor the progress of their students, and tune the mistakes and errors that the robot produces, so that it adapts its behavior to the specific difficulties faced by each child). Then, how to build an autonomous *interaction*: while the robot is already technically autonomous, the so-called orchestration of hours-long interactions is currently our research focus. How to make sure the child is willingly playing its role, how to detect disengagement and propose a different activity, etc. What are your hopes for the future of it and of robotics in the educational field in general? My only hope is that we can come up with ideas and tools that will help teachers in getting every child to succeed! Managing a classroom with 30+ pupils is the daily challenge of hundred of thousand of teachers worldwide: we want to empower them with new levers, that they can decide to use or not, to achieve their goal of raising happy and confident children to tackle the complexity of the world. I do believe that we currently have a very limited vision of robots in education: we see them as "cool toys", that are exciting for children, and when we introduce them into classrooms, it is almost always to introduce programming. We badly need a paradigm shift there, and I advocate for robots that could actually be our Pens 2.0: boring, impersonal devices that nobody notice, but are ubiquitous, pervasive, fundamental tools to support learning. We are working on it.